1) First, locate and press the “Settings” icon. 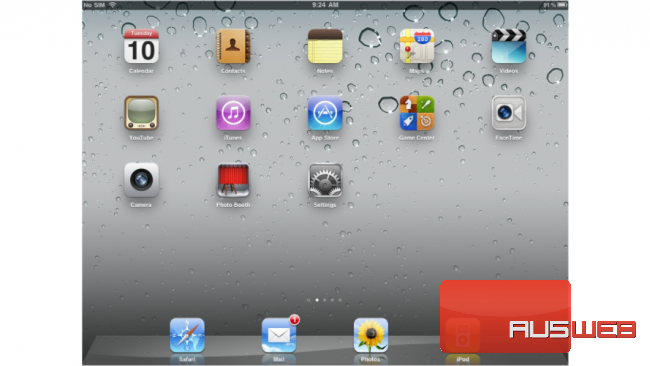 It may be on a different screen or in a different location than shown here. 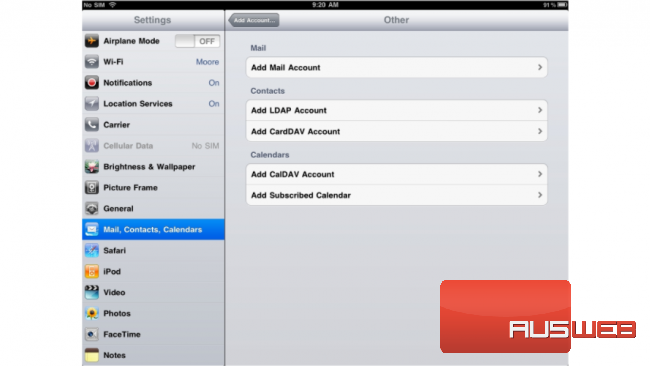 2) Then select “Mail, Contacts, Calendars”… and then “Add Account”. 5) Enter the Name, Email address, and Email password of the email account you’re adding. 6) A “Description” will automatically appear, but you can change it if you like. When finished, press “Next”. 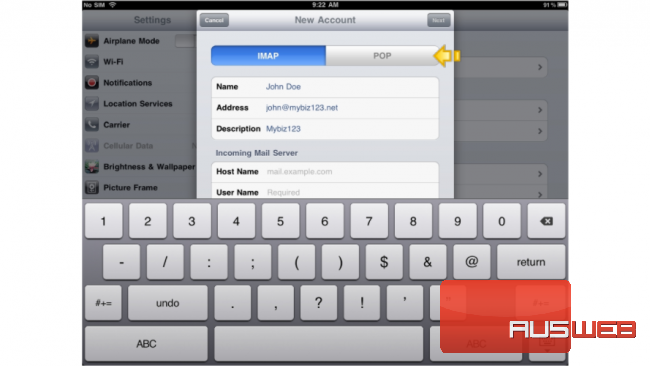 7) In this tutorial we are creating a POP account… therefore, ensure the POP option is selected here. 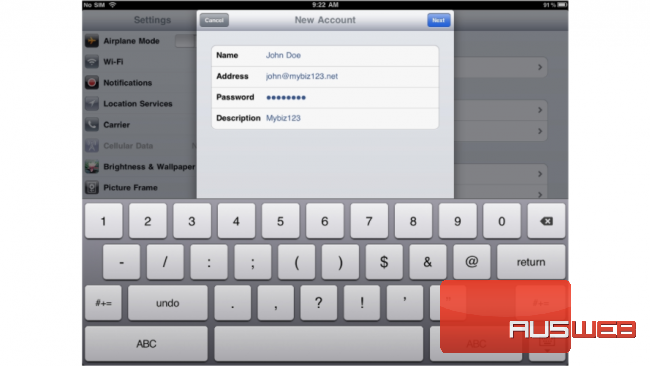 8) Next you have to enter your Incoming Mail Server settings… Enter the Host Name, User Name and Password for the Incoming Mail Server. 9) Next, enter the Host Name, User Name and Password for the “Outgoing” Mail Server. 10) When finished, press “Save”. 13) If you have multiple email accounts setup in your iPad, they’ll all be listed here. 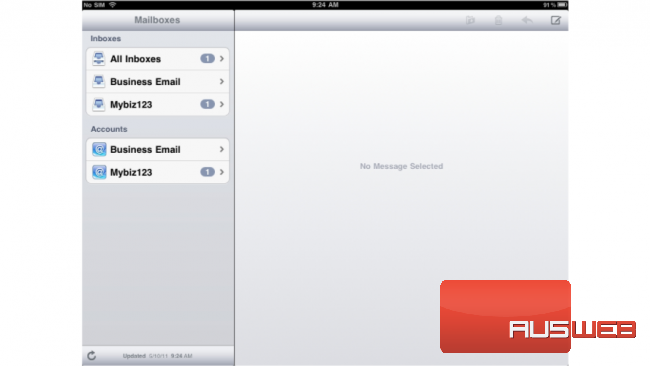 14) Select the email account we just setup… and any emails in your inbox will be displayed here. That’s it! 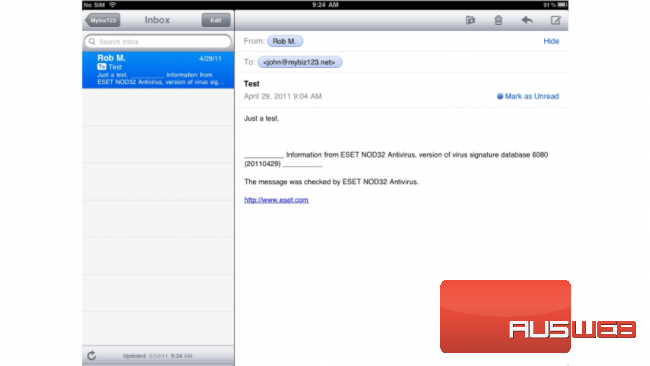 You now know how to setup a POP email account on your iPad.